While cleaning her lettuce, one woman found something she didn’t expect to see in her bag of lettuce. 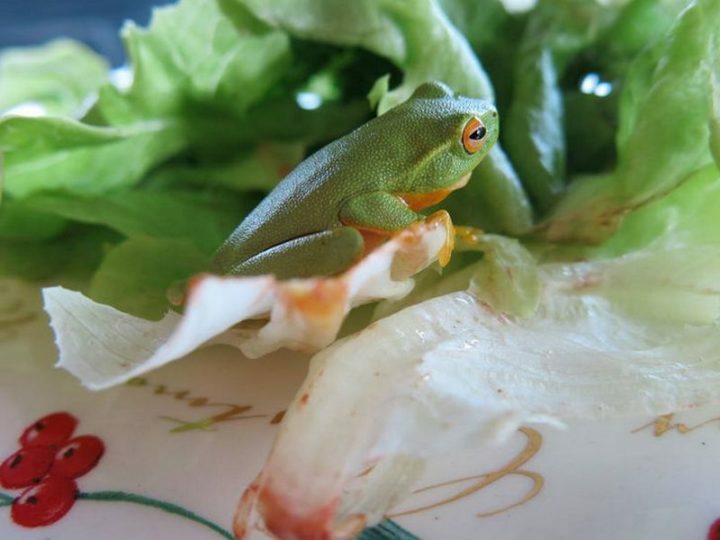 A little tree frog was hiding in her organic lettuce that was stored in her refrigerator for over 3 days! 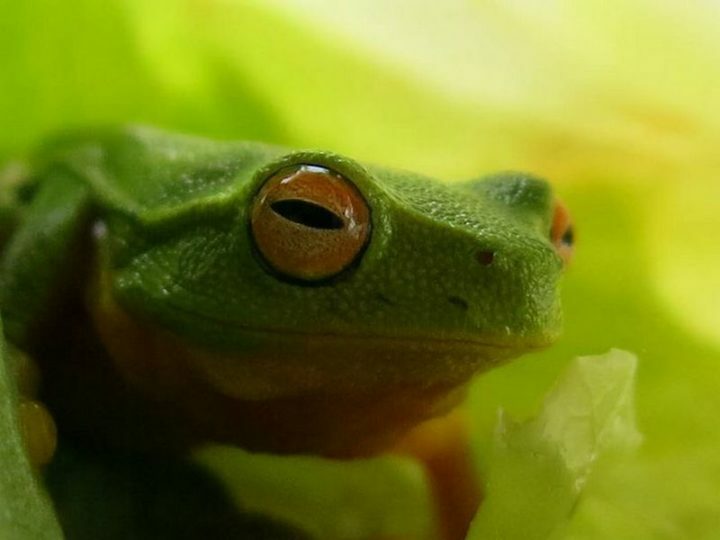 Because organic produce is grown with organic pesticides or even no pesticides at all, it increases the chances of finding insects or tiny animals like tree frogs. Needless to say, she probably won’t end up eating the lettuce she bought but saved the life of tiny tree frog instead. 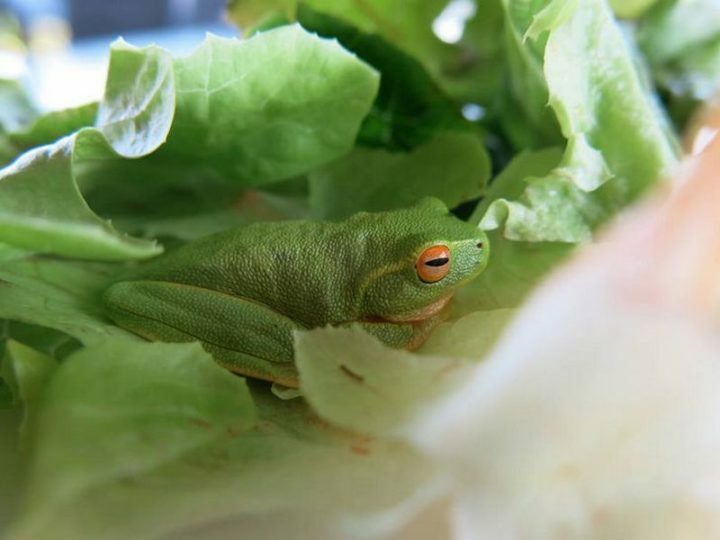 It ain’t easy being green but it sure makes a good camouflage when snuggled against lettuce. Even after over 3 days in the refrigerator, this little guy is chillin’ (OK, pun intended) and looks ready to start exploring his new surroundings. Please SHARE this cute tree frog a woman found in her organic lettuce with your friends and family.